Three thousand youth drop out of school everyday. The achievement gaps between racial groups and economic classes continues to widen. The persistent shortage of teachers who can be effective in 120 failing urban school systems guarantees that the miseducation of seven million diverse children in urban poverty will continue. Traditional university based teacher education has demonstrated for over half a century that it cannot provide teachers who will be effective and who will remain in these schools for longer than brief periods. Recruiting and preparing teachers for the real world will require teacher educations programs to focus on selecting mature, diverse adults who can be prepared on-the-job as teachers of record with the help of mentors and with access to technological support. These teacher education programs cannot claim that the negative conditions of work in urban schools must first be improved before they can be held accountable for providing competent teachers for diverse students in poverty. The likelihood is that these failing school systems will get even worse as they continue to miseducate current and future generations. Since the models for preparing effective teachers for diverse children in poverty already exist they can and should be replicated now. This chapter focuses on this promise. What Attracts People to Teaching? It is now typical for Americans to change jobs and career paths throughout their working lives. The old paradigm of school-to-work in which individuals were trained for one job or career which they then pursued for a lifetime is long gone. The new paradigm is an iteration of school-to-work-to-school-to-work-to-school-to-work as people require constant retraining for new roles and careers. While much has been written about this new pattern of individuals moving through many jobs and roles over a lifetime, the emphasis of this literature is top-down and external: it deals with how economic forces demand that individuals retool themselves for the global information age. (Humphrey & Wechsler,2004). While these demands are real and accelerating, the fact is that adults also respond to internal needs as they move through the stages of adult development. What a 20-year old thinks is a satisfying job, reflects a different set of needs and expectations than what a 35 or 50 year old regards as a satisfying job. In spite of denigrating terms such as “job changers,” “retreads” and “career switchers,” (Stoddard & Floden,1995) mature individuals seeking new roles and careers in teaching is a predictable, natural, desirable response to maturation and development. Indeed, it is a healthy response. Those who are comfortable in precisely the same jobs at age 60 that they held at age 20 are fixated in a pattern of non-growth.(Heath,1977). While American society is clearly the most flexible in allowing and supporting shifts in life choices, there are, nevertheless, both reasonable limits as well as unfortunate rigidities controlling the options open to people. If an individual decides at age 20 that repairing motorcycles is an “awesome” job, it will be easier for him/her to start a technical career at age 30 than it will be to become a psychiatrist. Similarly, the individual at age 20 who is motivated to become a kindergarten teacher might find it easier at age 35 to develop a chain of daycare centers than to become a veterinarian. People are driven to search for meaning at all life stages (Bronoski,1971;Frankl,1984); but what seems meaningful to them changes markedly in succeeding stages of maturity. And even in the world’s most open society, the constraints and limits placed on individuals become harder to overcome as they mature and take on greater responsibilities. In the end, the choice of a job or career is a compromise between what the individual in a particular life stage wants with what he or she perceives as a realistic option. Many who have analyzed the young adult stage of life characterize it as the age of “me-ness” in which the focus is on self. In contrast, middle adulthood can be characterized as a time when many desire to put meaning in their lives by helping others find meaning in theirs.(Erikson,1966). As adults shift from a focus on self to more social concerns, they are motivated to reconsider their job and life opportunities. Many careers such as law, medicine and public administration provide opportunities for helping others but require long periods of expensive preparation. Other jobs, in the health and human service sectors, offer the opportunity to serve others after relatively brief periods of training. 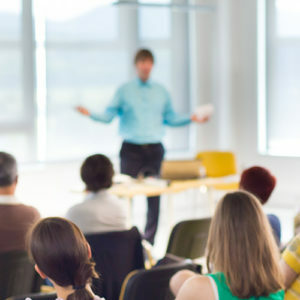 Many adults pose the question to themselves in this way: “What can I do that will put more meaning in my life by helping others, without making my own family suffer from my becoming a student again with no income or health insurance?” For many the answer to this question is becoming a teacher through a program of paid, insured, on-the-job training. – live in or were raised in a metropolitan area. – attended schools in a metropolitan area as a child or youth. – are parents or have had life experiences which involved extensive relationships with children. – are African American, Latino, members of a minority group, or from a working class white family. – earned a bachelors degree from other than a highly selective or elitist college; many started in community colleges. – majored in a field other than education as undergraduates. – have had extensive and varied work experiences before seeking to become teachers. – are part of a family/church/ethnic community in which teaching is still regarded as a fairly high-status career. – have experienced a period of living in poverty or have the capacity to empathize with the challenges of living in poverty. – have had out-of-school experiences with children of diverse backgrounds. – may have had military experience but not as an officer. – live in the city or would have no objection to moving into the city to meet a residency requirement. – have engaged in paid or volunteer activities with diverse children in poverty. – can multitask and do several things simultaneously and quickly for extended periods such as parenting and working part time jobs. The aforementioned attributes do not guarantee success as an urban teacher; they raise the probability that individuals with these attributes will succeed and remain. The reverse of these attributes describes a pool of people who are unlikely to remain in poverty schools. Unfortunately, many districts still recruit and hire only the traditional pool: (i.e. middle class, white, monolingual, late adolescent females who graduated from suburban, small town and parochial schools, who were full-time undergraduate majors in education, with little or no work or life experiences, without families or child-rearing experience, who lack commitment or roots in the particular urban area). Again, all of these characteristics are not required but having a cluster of them is typical of individuals who succeed and stay in urban schools. Nonetheless, these attributes describe “the best and the brightest” population for teaching diverse students in poverty. – multi-task and perform several functions simultaneously. – work in feminine institutions where procedures and human relationships with other adults are of greater importance than outcomes. – take directions and accept evaluations from female principals and female supervisors. – spend a good part of every day encouraging and nurturing children and youth as well as teaching them. – interact positively with mothers and female care-givers. – maintain class control by motivating and relating to children rather than trying to dominate them. – regard children’s misbehavior as a professional problem to be resolved rather than a threat to their authority or manliness. – make personal sacrifices of time and energy to meet students’ needs. Men with all or most of these attributes succeed as urban teachers. They are men who are able to understand and overcome the way males are typically socialized in our society. In all teacher education programs a higher percentage of males than females quit or fail but by selecting men who have the nine additional attributes cited above, the programs I have developed over the past forty six years have produced as many as one-third male graduates. To understand the opportunities and challenges facing career-changing adults, it is important to review the complex nature of the well-documented current teacher shortage. The National Commission on Teaching and America’s Future estimate that three million teachers will be hired between 2000 and 2010. The preponderance of these will be new teachers needed to serve approximately 14 million diverse children in urban and rural poverty. (United States Department of Education, 2000). The phenomenon of an urban district needing thousands of teachers surrounded by suburbs and small towns where there are hundreds of applicants for one position has been well documented for over half a century. Although the typical age of college graduates has risen from age 22 to age 26, it is still generally true that most of those preparing to teach are college age youth, that is, late adolescents and young adults. This analysis is not an advocacy for preventing all such individuals from becoming teachers but to shift the balance. The current emphasis remains approximately 80% still being youngsters below age 26 and only approximately 20% being older “non-traditional” post baccalaureate students or adults in alternative certification or on-the job training programs. Given the needs in urban poverty districts, this balance should be reversed so that the majority of those in teacher training would be adults over age 30. Denigrating labels such as “retreads” or “career changers” indicate the power of the misconceptions and stereotypes regarding the age at which it is generally believed that individuals should become new teachers. My best estimate is that of the approximately 500,000 traditionally prepared teachers under age 26 who are produced annually, fewer than 15% seek employment in the 120 major urban districts serving approximately 7 million diverse children in poverty. In my state, Wisconsin, the figure is 10%. This represents approximately 75,000 of the colleges and universities annual output. The research based on my Urban Teacher Selection Interview indicates further that of the 15% who are willing to apply to work in urban school districts that only one in ten (or 7,500) of those under age 26 will stay long enough (three years or longer) to become successful teachers in urban schools. What this means is that the approximately one half million youngsters under 26 in over 1,200 traditional programs of teacher education provide the 120 largest urban school districts with about 1.5% of their annual teacher output. While this is obviously a very small output from traditional teacher preparing institutions it does represent a bloc of young people who do have the potential for teaching diverse children in urban poverty and for whom the doors of the profession must remain open. But, should this population of young teachers represented by this 1.5% contribution remain as the predominant pool of future teachers or should school systems be looking for other constituencies from which to draw and develop the teachers America needs? Several factors contribute to the “shortage” of teachers where they are needed most: i.e. in urban schools. First, the length of an average teaching career is now down to eleven years. Teachers who pursue lifelong careers as classroom teachers are now clearly in the minority. Second, in many states, the majority of those graduated and certified in traditional programs of teacher preparation never take jobs as teachers. In 1998, in Wisconsin, 71% of those graduated and certified by colleges and universities did not take jobs as teachers. (Schug & Western, 1998). In 2001 65% of the newly certified graduates did not take teaching jobs. This lower figure does not mean that more teachers entered classrooms since the total number produced in 2001 had declined by almost 20%. These non-teaching certified graduates are frequently referred to by many experts in teacher education as “fully qualified.” But, if they do not take teaching positions because the jobs are primarily in urban schools serving diverse children in poverty, for what and for whom are these graduates “fully qualified?” The state licenses issued them should contain codicils or reservations such as “is prepared to teach white children not in poverty in small town or suburban school districts.” Instead, all fifty states issue only unrestricted, universal licenses pronouncing the bearers qualified to teach all children of a given age, or all children in a given subject matter or all children with particular exceptional conditions. The staggering percentage of the newly certified teachers choosing to not waste their own time or the children’s time is actually a benefit since it does not inflict potential quitters and failures on children in desperate need of competent caring teachers. Newly certified graduates not taking jobs are also a clear indication that the bearers of these licenses are being much more honest about themselves and their lack of competence than those who prepared them and who insist on pronouncing them “fully qualified.” In 1999 the SUNY system prepared 17,000 “fully qualified” teachers. The number who applied for teaching positions in New York City that year was zero. In 2004, the State of North Carolina met its need for 10,000 teachers (only 3,500 were certified by in-state colleges and universities) by hiring teachers from abroad through a private company that receives $11,500 for each teacher it finds. The City of Greensboro recruits for teachers in Capetown, South Africa. The third reason for the teacher shortage is the number of beginners who take jobs in urban schools but fail or leave. Using data from the National Center for Educational Statistic’s School and Staffing Survey, Ingersoll (2001) concluded: “School staffing problems are primarily due to excess demand resulting from a revolving door—where large numbers of teachers depart for reasons other than retirement”.(p.3). This churn of teachers into and out of schools serving diverse children in poverty results in approximately 50% of new teachers leaving urban districts in less than five years. In my own city, Milwaukee, 50% of the more than 1,000 new teachers hired annually will be gone in three years or less. Many quit in the first year. (Haberman & Rickards, 1990). The fourth major reason for the teacher shortage in urban schools is the shortage of special education teachers. This shortage is exacerbated by the fact that many suburbs, small towns, parochial and private schools contract out the education of their children with special needs to their nearby urban school districts. This not only increases the teacher shortage in urban districts but also raises their costs. For example, in Wisconsin and in many others the state makes a deduction in aids to the urban district for every special education class not taught by a fully certified teacher. No state imposes such a fiscal penalty when a district employs an uncertified teacher in math, science, or other areas of continuing shortage. But there is a more fundamental reason for this shortage of special education teachers. In effect, “fully qualified” teachers prepared in traditional university based programs are systematically trained to view many of their children as somehow lacking, deviant, or having special needs. New teachers unable to connect with and manage their students will see things that are wrong with the children and their families rather than the inadequacies in themselves. Trapped by biased, limited, cultural definitions of how a normal child should develop, behave and learn language, it is inevitable that teachers would refer children they cannot connect with for testing to equally limited school psychologists who then provide the backup test scores and psychological evaluations to show that these children are not capable of functioning in normal ways. A fifth reason for the teacher shortage results from greater career opportunities now available to women outside of teaching at the time of college graduation. Many, however, soon discover that they encounter glass ceilings and can only advance in limited ways. After age 30, this population includes many who decide to make more mature decisions than they did at age 20 and seek to become teachers of diverse children in poverty. The sixth reason for the shortage deals with college graduates of diverse racial and cultural backgrounds who have greater access into a larger number of entry level career positions than in former times. As with the population of women who perceive greater opportunity for careers of higher status and greater financial reward outside of teaching, this population also frequently experiences glass ceilings after age thirty. For instance, African Americans comprise fewer than 6% of all undergraduates in all fields and substantially fewer who decide as youthful undergraduates to pursue traditional university based programs of teacher education. But as career-changers after age thirty, racially diverse college graduates (particularly women) become a primary source of teachers for children in urban school districts. The school district employs more African American college graduates than any business in Milwaukee and this is true in many other cities. The continuing and worsening teacher shortage must also take note of the special nature of teaching fields such as math and science. Math and science teachers leave at a higher rate than others; they tend to be men seeking better opportunities in other fields. (Murnane, 1996). While the causes of the shortage in these areas have some distinctive dimensions, they are not discussed separately since the solutions proposed for the general shortage also impact these high need specializations. The comments of quitters and leavers which may have at first appeared to indicate a simple, straightforward lack of skills on the part of a neophyte still learning to maintain discipline, can now be recognized as actually representing much deeper issues. Rather than a simple matter which can be corrected by providing more training to caring beginning teachers who understandably just need some tips on classroom management and more experience, it is clear there is a disconnect and an irreconcilable chasm between these teachers and their students. Teacher attrition increases as the number of minority students increases. (Rollefson, 1990). Quitters and leavers cannot connect with, establish rapport, or reach diverse children in urban poverty because at bottom they do not respect and care enough about them to want to be their teachers. These attitudes and perceptions are readily sensed by students who respond in kind by not wanting “these” people as their teachers. Contrary to the popular debates on what teachers need to know to be effective, teachers in urban schools do not quit because they lack subject matter or pedagogy. Quitters and leavers know how to divide fractions and they know how to write lesson plans. They leave because they cannot connect with the students and it is a continuous, draining hassle for them to keep students on task. In a very short period, leavers are emotionally and physically exhausted from struggling against resisting students for six hours every day. In my classroom observations of failing teachers, I have never found an exception to this condition: if there is a disconnect between the teacher and students then no mentoring, coaching, workshop, or class on discipline and classroom management can provide the teacher with the magic to control children he or she does not genuinely respect and care about. In truth, the graduates of traditional programs of teacher education are “fully qualified” only if the definition of this term is limited to mean they can pass written tests of subject matter and pedagogy. Unfortunately, while knowledge of subject matter and pedagogy are absolutely necessary, they are not sufficient conditions for being effective in urban schools. Knowing what and how to teach only becomes relevant after the teacher has connected and established a positive relationship with students. Many who give advice on how to solve the teacher shortage in urban schools frequently assert that “these” children need to be taught by the “best and the brightest.” Unfortunately, the typical criteria used to define “the best and the brightest” identify teachers who are precisely those most likely to quit and fail in urban schools. The majority of early leavers are individuals with higher intelligence quotients, grade point averages, and standardized test scores than those who stay; more have also had academic majors. (Darling-Hammond & Sclan, 1996). Teachers who earn advanced degrees within the prior two years leave at the highest rates. (Boe et al, 1997). Those who see teaching as primarily an intellectual activity are eight times more likely to leave the classroom. (Quartz et al. 2001). In 1963, the Milwaukee Intern Program became the model for the National Teacher Corps. In the ten years (1963-1972), of the Corps’ existence, approximately 100,000 college graduates with high GPAs were prepared for urban teaching. While many stayed in education, fewer than 5% remained in the classroom for more than three years. (Corwin, 1973). This was the largest, longest study ever done in teacher education. The fact that the shibboleth “best and brightest” still survives is testimony to the fact that many prefer to maintain their pet beliefs about teacher education in spite of the facts. In effect, the criteria typically used to support the “best and brightest” are powerful, valid identifiers of failures and quitters.While being an effective teacher of diverse children in poverty has some intellectual and academic aspects, it is primarily a human relation’s activity demanding the ability to make and maintain positive, supportive connections with diverse children, school staff and caregivers. Those threatened by this view misconstrue my advocacy to mean that I believe knowledge of subject matter and knowledge of teaching are unimportant. Not so! There is substantial research evidence that teachers who know more English usage and who have greater knowledge of the subject matters they teach, have children who learn more. (Zeichner & Schulte,2001). But, it is only after the propensity to relate to diverse children in urban poverty has been demonstrated that the teacher’s knowledge of subject matter and how to teach can become relevant. This raises the more basic issue of whether future teachers (or anyone) can be taught to connect with diverse children in poverty or whether this is an attribute learned from mature reflection about one’s life experiences after one has had some life experiences. If it is, as I believe, the latter then it is an attribute that must be selected for and not assumed to be the result of completing university coursework. Indeed, there is substantial evidence that college courses and direct experiences reinforce rather than change teacher education students’ prejudices and abilities to connect with diverse children in poverty. (Haberman, 1991). This is also true of inservice teachers. (Sleeter, 1992). Selecting people with the predispositions to connect with diverse children in poverty rather than assuming that training programs will change students’ basic values and perceptions is the greatest weakness in traditional teacher education and my strongest advocacy for change. 1. Persistence refers to the effective teacher’s continuous search for what works best for individuals and classes. Part of this persistence involves problem solving and creative effort. The manifestation of this quality is that no student goes unnoticed or can stay off-task for very long. Effective teachers never give up on trying to engage every student. 2. Protecting learners and learning refers to making children’s active involvement in productive work more important than curriculum rigidities and even school rules. Effective teachers not only recognize all the ways in which large school organizations impinge on students but find ways to make and keep learning the highest priority. 3. Application of generalizations refers to the teacher’s ability to translate theory and research into practice. Conversely, it also refers to the teacher’s ability to understand how specific behaviors support concepts and ideas about effective teaching. This dimension predicts the teacher’s ability to benefit from professional development activities and grow as a professional practitioner. 4. Approach to at-risk students deals with the teacher’s perceptions of the causes and cures for youngsters who are behind in basic skills. Effective teachers see poor teaching and rigid curricula as the major causes. They are also willing to assume personal accountability for their students’ learning in spite of the fact that they cannot control all in-school and out-of-school influences on their students. 5. Professional versus personal orientation to students refers to whether teachers might use teaching to meet the their emotional needs rather than the students’. Quitter/failures have a different set of expectations than effective teachers on how they expect to relate to children. They find it difficult to respect and care about children who may do things they regard as despicable. 6. Burnout– its causes and cures predicts the likelihood that teachers will survive in an urban school bureaucracy. Those with no understanding of the causes of burnout who hold naïve expectations of working in school systems are most likely to be victims. 7. Fallibility refers to the teacher’s willingness to admit mistakes and correct them. This dimension of teacher behavior establishes the classroom climate for how students respond to their mistakes in the process of learning. Seven other functions also discriminate between greatness and failure in urban teaching. Following are these functions. 2. Organizational ability: The skill to plan, gather materials and set up a workable classroom. 3. Physical/emotional stamina: The ability to persist with commitment and enthusiasm after instances of violence, death and other crises. 4. Teaching style: The use of coaching rather than direction and information giving. 5. Explanations of success: An emphasize on student effort rather than presumed ability. 6. Ownership: The willingness to lead students to believe it is their classroom not the teacher’s. 7. Inclusion. The acceptance of accountability for all the students assigned to the classroom. Presently, more than 200 cities across America utilize the Urban Teacher Selection Interview, which includes the first seven functions outlined above. This very large, on-going sample provides the data base for claiming that mature adults are three times more likely than younger candidates to demonstrate these functions. A critically important attribute of teachers who are effective in urban schools is how they respond to the ceaseless pressure of preparing students for school career. These mandates with what experts pronounce must be included in a basic education. The second curriculum is what teachers actually teach. This is markedly less than the district’s stated curriculum. The third curriculum is what children actually learn. This is much less than the stated curriculum and what teachers have taught. The fourth curriculum is what is tested for. This is the narrowest of the four curricula and represents only a sampling of what students supposedly learned. As one considers the relationship among these four curricula in urban school districts, it is clear that what is tested for is the dominant curriculum. Indeed, urban schools take pride in aligning their curricula with the tests. What alignment means, in effect, is that what is advocated, taught and learned is continually narrowed and limited to what is tested for. This trend will continue and will increase the pressure on urban schools and teachers in them. In Wisconsin, as in all of the other states, the majority of schools identified as Schools In Need of Improvement (failing schools) are in major urban areas. In suburban and wealthy private schools the professional staff and parents agree on many broad school goals that include: basic knowledge in all areas of learning; skills of learning and using technology; citizenship; aesthetic development; health and physical education; emotional health; environmental studies; interacting positively with people of all backgrounds; and ethical behavior. In schools serving the urban poor, the general public (80% of whom have no children in schools) has narrowed these grand school goals down to two: get a job and stay out of jail. This narrowing of goals in schools serving the urban poor presents several challenges for effective, caring teachers: how to help students do well on tests but still offer a deeper curriculum that will take students beyond what is tested for; and how to include all the grand goals offered advantaged children in urban schools where aspirations and expectations for the staff and students have been lowered. It is clear that more mature beginning teachers are more able to deal with these pressures for several reasons. They are in a stage of development that enables them to see beyond absolutist thinking, such as “ My principal says to get them ready for the test so I can’t teach them other things.” More mature adults, particularly those who are parents, are more prone to ask themselves what kind of curriculum and teaching they would want for their own children. They are also more likely to have had work experiences where they negotiated with superiors regarding how to get the work done more efficiently by doing it somewhat differently. In teacher education programs, more mature teachers are consistently rated higher than younger beginners by their principals, even though they are constantly negotiating with them to offer the children a more expanded, richer curriculum.(Haberman,1999). There is substantial evidence from our Urban Teacher Selection Interview that one out of three candidates over 30 years of age will pass this interview while only one out of ten candidates under 25 years of age passes. This interview compares candidate’s answers to the responses of the most effective urban teachers. A critical question on this interview deals with “protecting the learning of children” and refers directly to this issue of teaching and learning beyond the curriculum that will be tested for. More mature applicants are three times more likely to specify behaviors for themselves that require putting the children first and then negotiating with superiors to protect that learning. Less mature candidates advocate following directives, even if they believe the results might narrow children’s learning, because they dare not risk discussing directives with superiors. In short, if a district seeks beginning teachers who will function primarily as test tutors it would seem they w childre other hand, if the urban districts want beginners who will a scores, they will also negotiate for expanding and enriching the curriculum. In addition more mature teachers are more likely to teach issues of equity and social justice. Since this teacher population is composed primarily of women, minorities and Whites from low income backgrounds, many of them have actually experienced discrimination, prejudice or glass ceilings in the workplace They are sensitive to such issues in their schools and in the lives of their students. They initiate a broad range of learning activities with their students that involve all types of environmental problems, the criminal justice system, the actions of elected officials, and consuming products manufactured by child labor. Mature teachers are more likely to offer a curriculum in which students are involved as active participants now rather than a curriculum for becoming active citizens after graduation. Although teachers leave primarily because they cannot connect with diverse children and youth in poverty, it is necessary to recognize that the conditions under which teachers work can present formidable obstacles. In some urban schools conditions teachers face are so horrific that they drive out not only those who should never have been hired but many who have the potential for becoming effective teachers and even stars. Because these conditions are likely to worsen, the strategy of recruiting and training more mature people who can succeed in schools as they now are is a more responsible social policy than continuing to prepare traditional populations of new teachers on the naïve expectation these conditions will improve. In many of these districts beginning teachers are often expected to work under conditions that are medieval: rooms without windows; over 30 students in a class including six or more students with exceptionalities; insufficient, outdated textbooks; no dictionaries; no paper; no access to a copier that works; no computers connected to the internet; science rooms without running water; little or no consumable materials; no parking; no closet the teacher can lock or even a hook to hang up his/her coat. Teachers spend an average of $650 dollars a year of their own money on supplies. (Haberman, 1998). There are teachers who use their own funds to buy chalk. When I recently asked a principal to provide a teacher with some chalk he replied, “The teachers knew how much money we had for supplies and they chose to use it up by January. What do you want from me?” Observing the equipment, supplies and materials that urban teachers typically have to work with frequently leads one to question whether these teachers are working in the United States of America. In 2001 I visited schools in New York City on behalf of the New York State Department of Education. These classrooms were exactly like the ones I was in as a child in the same city 65 years earlier. The only difference I could see was that there was an electric clock on the wall. In this financial and cultural world center, I observed many caring, well-intentioned beginners whose only teaching material was chalk, a blackboard and paper already used on one side. Many of our urban schools function as isolated third world outposts in the midst of a 21st century technological society. In addition, getting through urban school’s archaic personnel systems for an initial appointment, securing an assignment to a particular school and classroom, and then meeting the never-ending paperwork and clerical demands wear any reasonable person down in short order. Added to this is the problem of trying to teach in classrooms which experience an average of 120 interruptions per week (Delgadillo, 1992). The mindless, overpowering bureaucracies of urban school districts seem organized for the express purpose of driving out the beginners who care the most and retaining only the “strong-insensitives”( i.e., those who are inured to how mindless bureaucracies ignore the needs of children in poverty). Unfortunately, status studies and summaries of these conditions do not change or improve them. Advocating what should be does not change the nature of what urban schools are or will be. All may agree that the conditions of work faced by beginners are a critical determinant in driving out many with high potential but the critical question remains: Is it likely that these conditions will improve or worsen? Following is a prognosis based on the five most important conditions of work: (i.e., salaries, safety, class size, principals and testing). In my city, Milwaukee, a single mother with two or more children (a typical profile of one pool who are likely to succeed and stay in urban teaching) will earn a starting salary that is low enough to meet the state’s poverty criterion and will entitle her to food stamps. In future, I believe teacher salaries will not increase in real dollars. Much worse than the annual rate of inflation are the out-of-control costs of health care which double every three years. Urban school districts are negotiating greater contributions from teachers to help cover these costs but will still be forced to put whatever monies they might have used for salary raises into health care. In Milwaukee the teachers’ benefit package is already 63% so that a beginning teacher paid $29,000 costs the district $47,200 with benefits. By 2012, a very conservative estimate is that the benefits’ package will be at least 75%. This means that a beginning teacher paid $40,000 will cost the district over $70,000 per year… and this assumes that the teachers will be paying for a greater share of their health care thereby decreasing their real income. As long as health costs double every three years, there will never be enough funds to give teachers more than nominal salary increases which cannot keep up with the cost of living. I believe the amount that urban districts pay for school safety personnel and equipment will continue to increase. Many cities’ expenditures for safety make them the second or third largest “police” force in their state. This not only diverts funds from educational purposes but also seriously alters school climate transforming them from educational institutions into custodial ones. In many urban middle schools, there is more invested in hall cameras than in computers or computer-assisted instruction. As more time of professional staff is directed to issues of control, it casts a pall over the self concepts of teachers who have a great need to perceive themselves as educators rather than as safety personnel. Class size has great impact on teacher morale and effectiveness. In those states which mandate smaller classes there will be a sharp decrease in class size for primary grades and increases in class size for teachers in all the higher grades. In urban districts, class size will increase in response to budget cuts and higher birth rates among the urban poor. These increases in class size will be worst in urban middle schools where many students who cannot pass the 8th grade tests to get into high school remain until they drop out. In urban middle schools, teachers may work with between 100 and 150 students daily. This age group is an especially challenging one for teachers who must deal with high levels of student frustration, explosive physical maturation and the tremendous peer pressure exerted on students, particularly on males, to not learn in school. These conditions of work in urban middle schools will not improve even in districts that return to a 1-8 school organization. Recognizing that this is the last chance for many youth, caring teachers work especially hard. Teacher burnout and dropout rates are high. Such conditions make it more likely that teachers who stay longer than five years will be the “strong-insensitives” rather than those who are caring and committed. There is a growing shortage of effective urban school principals. The growing expectation that the principal can no longer be a building manager but must be the instructional leader of a community organization will deepen this shortage. In addition, an increasing number of urban districts now hold the principal accountable, on an annual basis, for raising test scores. Raising these expectations for principals cuts down on the pool of those who can be effective in such demanding roles. It is noteworthy that beginning teachers frequently cite “having a supportive principal’ as a critical factor in their professional development and whether or not they leave. There is also a continuing and growing shortage of racially and culturally diverse school leaders who can function effectively in African American and Latino communities. Principals are still drawn from the ranks of former teachers in the same urba l of racially and culturally diverse teachers the pool from which future principals will be drawn will not increase. One obstacle to turning this situation around is that every urban district has a shortage of effective principals now. This means that most of the teachers and assistant principals who will comprise the pool of future principals may never work for or ever see an effective principal functioning as an accountable, instructional leader. Without such models of success to emulate and mentor them, the prognosis is that tomorrow’s principals will function in essentially the same ways as today’s. This makes the likelihood that teachers will be getting more support from an increasing pool of more effective principals problematic. The number of tests taken by students in urban schools is not likely to diminish. District and state mandates have now made testing a fact of life for urban teachers. In some districts, the curriculum is so tightly aligned with the mandated tests that teachers actually follow scripts in order to cover all the topics on which students will be tested in the exact same way. This is a critical condition of work for many beginners who are misled into believing that as teachers they would be professional decision-makers rather than script readers and test tutors. The very strong likelihood is that the pressures felt by teachers to prepare their children for tests will continue and increase since so many will be assigned to schools officially designated as failing. On the positive side, there has been an increase in several conditions which beginners rate as critical conditions of work. First, there is more teacher teaming than in past. This means that teachers have greater access to other teachers’ ideas and experiences. Second, there is more mentoring of beginning teachers by experienced teachers with released time. Both of these factors are expensive because they involve greater costs for staff development; and while implemented in a few urban districts, they are more likely to be cut than expanded. This chapter has discussed problems and prospects regarding personnel preparation for urban schools. As it appears, there is no shortage of young teacher candidates in traditional programs of teacher education whose primary motive is to secure licenses that will enable them to be hired in any state. The need is for effective teachers in urban schools to serve diverse students in poverty. Mature adults who begin with a focused local, urban commitment are more likely to not only succeed but also survive. Securing teachers who diverse children in urban poverty deserve requires changing some of the institutional values in traditional university-based teacher education. First, the clients of teacher preparation are not students in programs of teacher education but the diverse children in poverty in urban schools who need effective teachers. This change of perception regarding who the clients are will cause many shifts in practice; the most notable being that teacher candidates will be put through selection and training procedures that result in significantly more of them self selecting out or being failed before they are licensed. Second, the long-term, continuing shortage of effective urban teachers does not mean that standards should be lowered but that they must be raised. Teachers who will be effective and who will remain are individuals who not only have knowledge of subject matter and pedagogy but who can connect with diverse children in poverty and can function under adverse working conditions. Third, candidates should not be admitted into programs of teacher education because they have passed the traditional selection criteria at a college or university. Urban school districts must first process candidates through their selection procedures. Only those who the district would be willing to hire should be admitted into preparation programs. Fourth, the locus of preparation must be urban school classrooms in which the candidates function as teachers of record. The various pools of adults who can be recruited, selected and prepared to be effective in urban schools envision themselves changing careers in order to function in the role of teachers. They are not willing to take on the role of students in teacher education programs and have demonstrated clearly, over decades, that they will not be recruited if their primary role is to become college students rather than teachers. This means alternative certification programs, intern programs and on-the-job training must be used to recruit and prepare mature candidates. Fifth, the traditional practice of young college students deciding they would like to be teachers of a particular age or subject matter and then seeking employment after graduation must be abandoned as a strategy for preparing urban teachers. The starting point for creating the pools of teachers to be trained in the various specializations should be based on the projections of teacher need in the local urban school districts. Only those who can fill a specific school need for a particular teacher specialization should be recruited, selected and prepared. Sixth, for teachers to remain and be effective, their training program cannot focus on universal truths (i.e., the nature of children, teaching and learning). Training programs cannot be preparation for teaching in the best of all nonexistent worlds. From the outset, preparation must focus on serving particular groups of children from specific local cultures attending schools in a particular urban district. Assuming that preparing candidates for no place in particular prepares them to teach all children everywhere will only perpetuate the current system of turning out “fully qualified” graduates not taking jobs, quitting, or failing. There is no shortage of teacher candidates whose primary motive is to secure licenses that will enable them to be hired in any state. The need is prepare teachers for specific urban schools to serve particular constituencies. Mature adults from a specific urban area who begin with a focused local, urban commitment are more likely to not only succeed but remain. Seventh, the tradition of waiting for young undergraduate students to apply to a university to be prepared as teachers must be replaced with aggressive and targeted marketing programs directed at pools of local, adult college graduates, particularly those of different races and cultures. Traditional forms of nationwide recruitment by urban school districts competing with each other for a limited pool of young graduates need to be replaced by strategies which focus on mature residents in a specific metropolitan area. Local churches, businesses, governments and community organizations are basic sources for the recruitment of African American and Latino applicants. While women ool systems in which they would like to become teachers are the primary target, ways of reaching local male pools must also be utilized. New ways of explaining the work of a teacher in an urban school district need to be an integral part of honest, realistic marketing that lets applicants know what they are getting into from day one. Urban school districts must accept the fact that new teacher recruits need to be oriented and prepared to work in inefficient, dysfunctional bureaucracies. Eighth, specific attributes of great urban teachers should guide the selection of new teachers into preparation programs. State mandated skills of subject matter and pedagogy are necessary but not sufficient. All programs of preparation should utilize both interviews of applicants that compare them to effective teachers and the direct observation of candidates actually relating to children and youth. These are the two most powerful predictors of success with diverse children in urban poverty. And ninth, offering inducements for candidates who are hesitant about teaching diverse children in urban poverty do not recruit the appropriate population. Signing bonuses, reduced apartment rentals or down payments on homes will attract quitter/failures. Funds used for such inducements should instead be used for mentors and tuition remission. This is the financial aid that helps mature candidates the most. Such support will be most effective in keeping the pathway into teaching open to adults with financial responsibilities and low-income candidates. Considering the working conditions teachers say they need versus those they regard as debilitating, the likelihood is far greater that the negative conditions under which teachers work are likely to worsen. What this means for securing teachers who will stay and become effective is clear. While all constituencies must do everything possible to try and improve the conditions under which urban teachers work, the students cannot be held hostage waiting for change agents who have been completely unsuccessful up to now. The need is to recruit and retain teachers who can be effective with today’s children and youth in today’s schools. Teacher educators should not be allowed to take the pious position that it is unfair or even immoral for beginning teachers to function in today’s schools and therefore those who prepare teachers cannot be held accountable for the quality of their training programs until the urban schools are first transformed. There are real children and youth spending the only lives they will ever have being miseducated in these schools everyday. Demanding that the schools improve before effective teachers can be prepared for such places will sacrifice still another generation. The most prudent course is to scale up the successful models of urban teacher education we now have and recruit, select and prepare caring effective, mature teachers who will make a difference immediately. Boe, E.E., Bobbit, S.A., Cook, L.H. Whitener,S.D. & Leeber, A.L. (1997). Why didst thou go? Predictors of special and general education teachers from a national perspective. The Journal of Special Education, 30;390-411. Bronoski,J.(1971). The identity of men. New York: American Museum Science Books. Corwin, R.G.(1973). Organizational reform and organizational survival: The Teacher Corps as an instrument of educational change. New York: Wiley. Handbook of Research on Teacher Education. Second Edition. New York: Macmillan. Ph.D. dissertation. University of Wisconsin-Milwaukee, Milwaukee,Wisconsin Library. Erikson,E. (1963).Childhood and society. New York: Norton. Florida State Department of Education.(1985). Teaching as a career: High school students’ perceptions’ of teachers and teaching,Tallahassee,Florida. Haberman,M.(1991,Fall). Can cultural awareness be taught in teacher education programs? Teaching Education, 4; 96-104. Haberman,M.(1998,Fall). How much of their own time and money do teachers spend on their students? Kappa Delta Pi Record, 35; 71-79. Haberman,M.(1999,October). Increasing the number of high quality African Americans in Urban Schools. Journal of Instructional Psychology, 1-5. Haberman,M. & Rickards,W. (1990).Urban teachers who quit: Why they leave and what they do.Urban Education, 25; 297-303. Heath,D. (1977).Maturity and competence. New York: Macmillan. Humphrey,D.C.&Wechsler,E.M.(2004). The status of the teaching profession 2203 Santa Cruz, CA: The Center for the Future of Teaching and Learning. Ingersoll,R.(2001). Teacher turnover, teacher shortages and the organization of the schools. Seattle,WA: Center for the Study of Teaching and Policy.p3. Murnane,R.J.(1996). Staffing the nation’s schools with skilled teachers.” In E.A.Hanushek & D.W.Jorgenson (Eds. )Improving America’s schools: The role of incentives. Washington, DC: National Academy Press. Quartz,K.H., Thomas,A., Hasan,L., Kim,P., & Barraza-Lawrence,K.(2001). Urban teacher retention: (Phase One:1998-2001). Los Angelos:Institute for Democracy,Education and Access,UCLA. Rollefson, M.(1990). Teacher turnover: Patterns of entry to and exit from teaching. Washington,DC:National Center for Education Statistics. Schug,M.& Western,R.(1998,June). Deregulating teacher training in Wisconsin. Wisconsin School News,pp.8-14. Stoddard,T.&Floden,R.E. (1995).Traditional and alternative routes to teacher Certification: Issues, assumptions and misconceptions. In K.Zeichner (Ed.) Reforming teacher education in the United States. New York: Teachers College Press. Unites States Department of Education.(2000). Teaching, researching and disseminating what works. Washington, D.C:http://www.ed.gov/inits/teachers/recruit.htm. Zeichner,K.& Schulte,A.K. (2001).What we know and don’t know from peer-reviewed research about alternative certification programs. Journal of Teacher Education, 52;266-282.